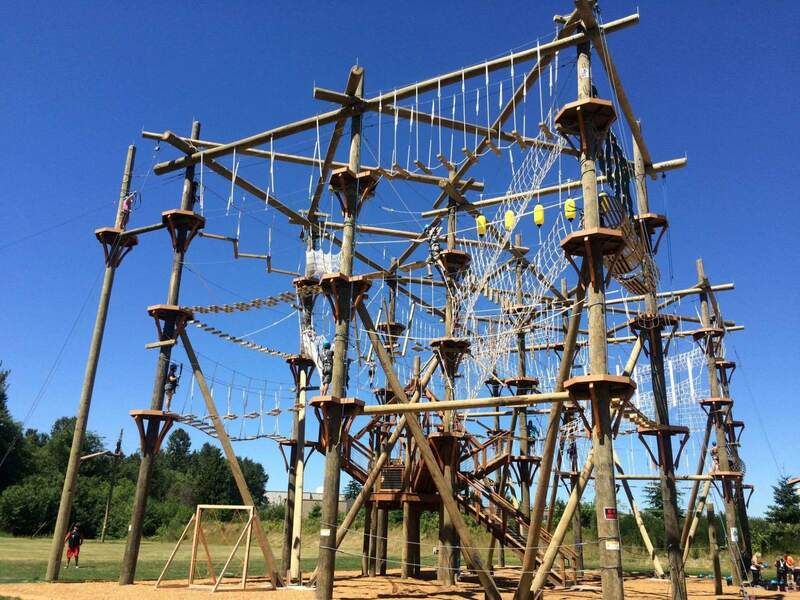 Everything you need to know about those giant jungle gyms sometimes known as a ropes course, obstacle course, challenge course, high ropes course or adventure course. 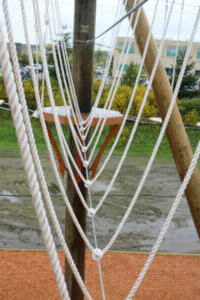 One of the most basic obstacles you'll come across on a ropes course is a rope bridge. These are considered an easier "green" level element because you are mostly surrounded by the net so they are sometimes called "Taco Nets". These side ropes can be held onto as you traverse the element making it easier to balance. Rope bridges are a great introductary challenge for beginners. Another name for a rope bridge is a "sky net" or they can be an "incline bridge" if the net leads up or down like a staircase to another level of the challenge course.